Put-in-Bay pool bars are one of the most memorable things about the island. This is something that you just can’t experience many other places this far north. Pool bars are the domain of the Bahamas, and South Beach, and Las Vegas, not the Midwest. Except at Put-in-Bay! 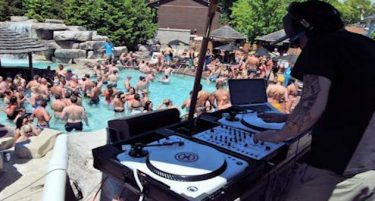 Imagine being able to float around, with music bumping and a cold beverage in hand, and then think, “This is Ohio!” You can enjoy this completely unique vacation experience at any of the pool bars below! 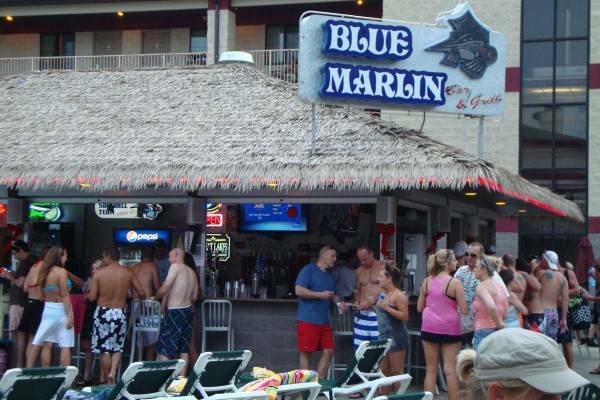 The Blue Marlin Tiki Bar & Grill is the place for fun and excitement at Put-in-Bay. This pool bar is located at the Put-in-Bay Resort and Conference Center. Fortunately, the fun isn’t just reserved for hotel guests. The public is welcome to come and enjoy the many great features.